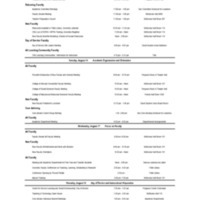 A breakdown of events scheduled for the approaching semester. 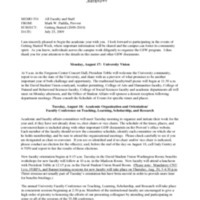 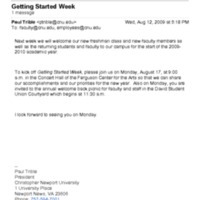 An email about Getting Started week for August 2011. 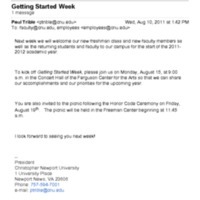 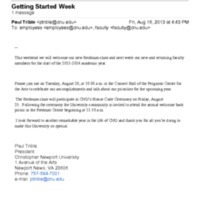 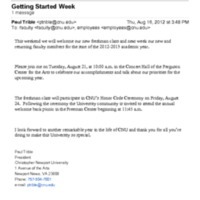 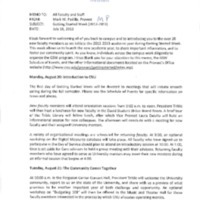 An email from President Trible about the upcoming Getting Started Week events.